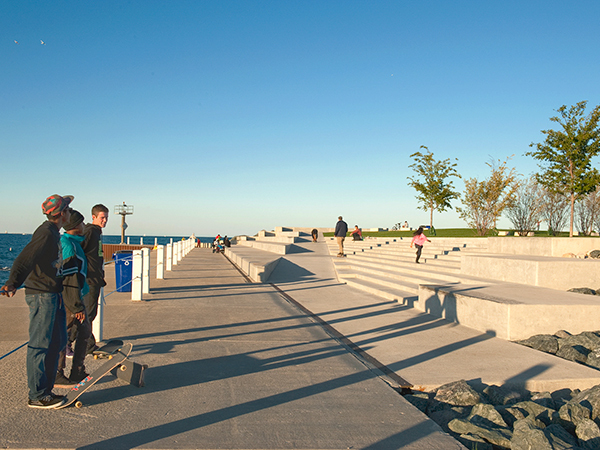 Extending six miles from Jackson Park to Grant Park, this 598-acre parcel on Lake Michigan is named for architect Daniel Burnham, who proposed its creation in 1909. 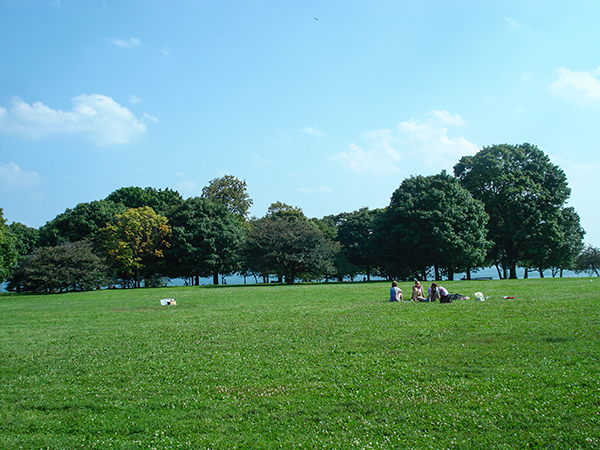 Among other things, the Burnham Plan (Plan of Chicago) recommended the construction of linear parkland on imported fill extending into Lake Michigan. In 1911, the South Park Commission negotiated with the Illinois Central Railroad for the acquisition of property south of Grant Park, which would become the setting for the Field Museum (opened in 1920). By 1919, stabilization of the shoreline and the importing of landfill began, although much of the parcel remained unimproved. 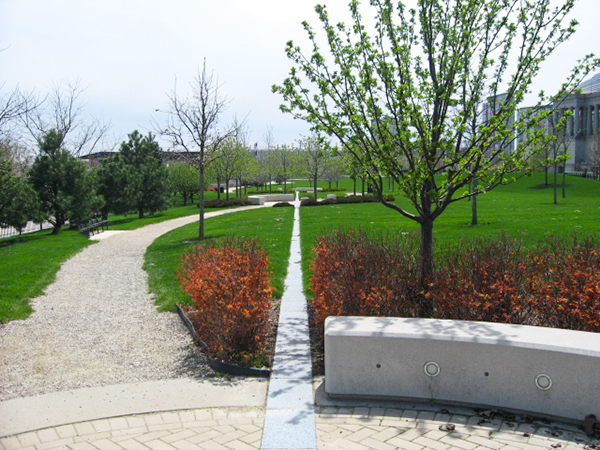 By 1925, Northerly Island was created; a year later Soldier Field was completed, and ground was broken for Lake Shore Drive, a four-lane boulevard proposed in the Burnham Plan. The entire complex was named for Burnham in 1927, and, in 1933-34, it was the location of the Chicago World’s Fair. 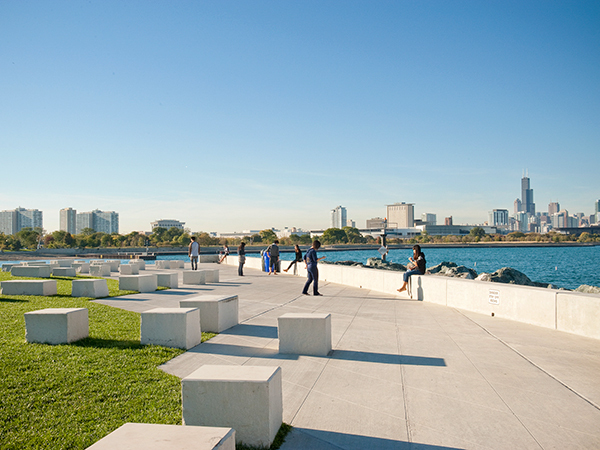 In the mid-1930s, laborers with the Works Progress Administration removed the fairgrounds (save the Balbo Monument, a second-century Roman column donated by Benito Mussolini ) and worked with Alfred Caldwell on the creation of Promontory Point at its southern end. 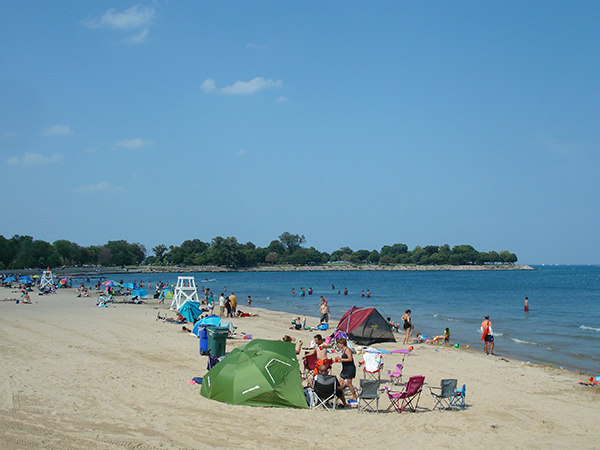 In the 1950s, Lake Shore Drive was relocated westerly to allow for the expansion of recreational activities, and the U.S. Army leased fourteen acres for the Nike missile defense system (removed in the 1960s). In 1960, McCormick Place convention center was constructed, but replaced in 1971 after the original burned. 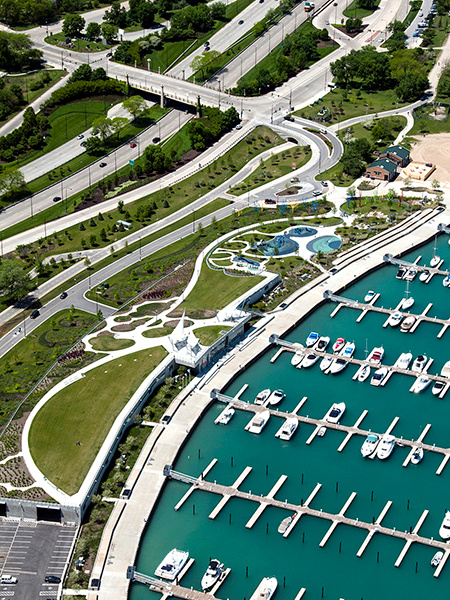 In 1995, Lawrence Halprin worked with the City to again realign Lake Shore Drive. 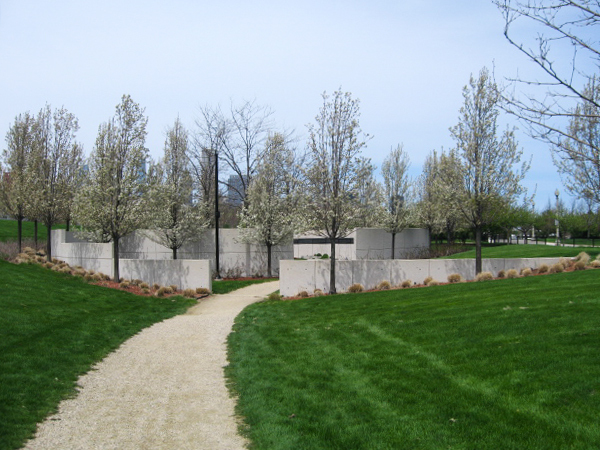 Peter Schaudt redesigned the landscape surrounding Soldier Field in 2000, with the insertion of a topiary garden and a play area on constructed landforms. 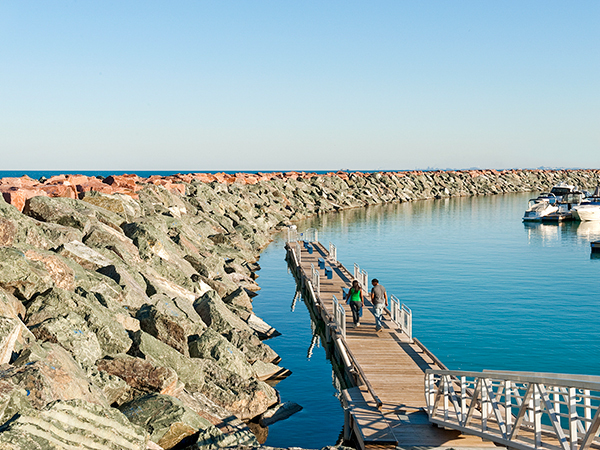 Today, the park comprises passive and active recreational fields, two marinas, sandy and rocky beaches, a bird sanctuary, and a segment of the 22-mile-long Lakefront Trail.